You have likely heard by now that the European Union adopted a directive called Restrictions on Hazardous Substances (RoHS). It eliminates or significantly reduces the use of certain substances from electronics products beginning July 1, 2006. Although Lead (Pb) seems to get most of the attention, other substances included in the directive are Cadmium (Cd), Mercury (Hg), Hexavalent Chromium (Cr VI), Polybrominated Biphenyl Ethers (PBBs) and Polybrominated BiPhenyl (PBDEs). 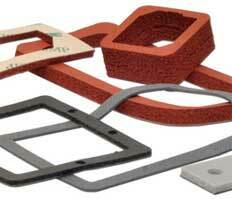 As a fabricator, Stockwell Elastomerics is depending on our material suppliers to comply with RoHS. We have been contacting our suppliers over the past year to assess compliance and gather supporting documents. So far, Rogers Corporation Bisco Silicones and Poron® cellular urethanes, St. Gobain Silicones, 3M adhesives and Adchem adhesives have responded to many inquiries – and their responses have indicated full compliance. Generally we would expect silicone rubber products to comply, as long as the pigments used to color the materials are in compliance. Our challenge as of this date has been gathering documentation from the smaller specialty compounders who do not seem to have the resources to have their masterbatches and ingredients evaluated. To date, we have seen requests for Declarations of Compliance from the major electronics OEMs. But soon this will be cascading down through all electronic OEMs who sell into the EU. For more information about RoHS compliance related to our gaskets, please call Stockwell Elastomerics at 215-335-3005 or complete a contact form for assistance. I am a current customer hoping to get some RoHS compliance documentation on one of your silicone foam products. The product code is BF1000. Please can you email me any doccumentation that you have? Oliver, thanks for reaching out to us, and for the opportunity to work with you. Our customer service team can provide the required documentation, simply use our contact us form to direct this request to our team. If you could please ensure that the CoC calls out the RoHS 3 Directive by name, and any exemptions are stated if applicable. Thank you. Please email service@stockwell.com with your contact info. Your customer service rep will reply back with the appropriate info.